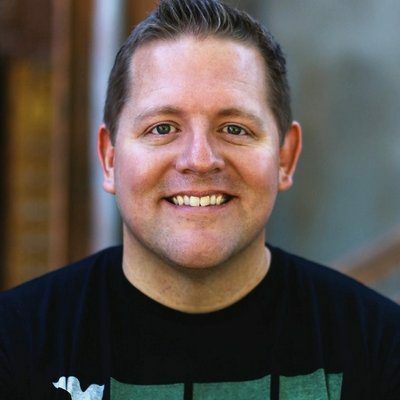 We all know Josh Griffin as one of the leading voices in youth ministry with over 20 years experience in the trenches, most recently as the High School Pastor at Saddleback Church. He’s the co-founder of DownloadYouthMinistry.com and been in 300+ episodes of the DYM Podcast with Doug Fields. He’s created more than 50 youth ministry resources and authored several books including 99 Thoughts for Small Group Leaders. Josh and his wife Angela have 4 kids, which now includes 2 teenagers of their own. What you may not know is that before he went to Saddleback (the “Mecca” of youth ministry), Josh was at a church with 30 kids in the farmlands of Michigan, working a job he almost quit two years in. So how did a young man who had never worked in a “big church” become the successor to Doug Fields at Saddleback? It’s an amazing story, and one that provides a lesson we all can learn about being open-handed with what God has entrusted to us. The Josh we see on stage at the National Youth Workers Convention is the real Josh. He’s fun, enthusiastic, optimistic, wise and approachable. His quick laugh and genuine love of youth ministry and youth workers is a blessing to youth workers everywhere. We are thankful for his support and friendship. Check out the new YouTube Show Josh and Doug just started! Download Youth Ministry is the best resource ever. Seriously. If you aren’t a member yet, you need to be! Incredible resources for youth workers, created by youth workers. Doug Fields is the author of Purpose Driven Youth Ministry, Your First Two Years in Youth Ministry, Speaking to Teenagers, and many many more. He’s also the co-founder of DYM!